« Why Don’t Doctors Say They are Sorry? What Causes 4 out of 5 Adverse Medical Events? 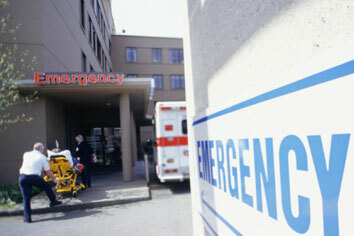 According to the Joint Commission 4 out of 5 adverse medical events are due to communication problems when a patient is handed off to another medical provider, such as at the end of a hospital shift or when a patient is transferred from the emergency room to an inpatient hospitalization. Educate and coach those taking over with the patient. If you have been hurt, or a loved one has been killed, because of poor communication during a medical hand off then you may be entitled to damages. Contact a Pennsylvania medical malpractice lawyer for more information about your rights. Contact our lawyers using the form for a free medical malpractice lawsuit consultation. Medical Disclaimer: This site is not designed to and does not provide medical advice, professional diagnosis, opinion, treatment or services or otherwise engage in the practice of medicine, to you or to any other individual. Please use this information to help in your conversation with your physician. This is general information and always seek the advice of your physician or other qualified health provider with any questions you may have regarding a medical condition. Never disregard or delay seeking professional medical advice or treatment because of content found on the Website. This website is not intended to solicit clients outside the states of Pennsylvania, New Jersey, Ohio and Arizona. Copyright © 2019 PA Medical Malpractice. All rights reserved.